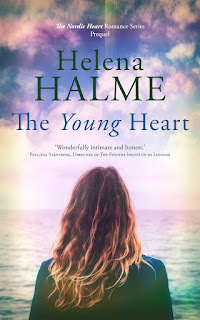 Helena Halme Author: Shall I count the ways? As the weeks march on, I try hard not to think negatively about how our lives are going to change. I keep telling myself that this is what I want, to live in a city, to be close to everything, not to have to get into my car every time I need as much as a pint of milk. I crave the presence of other people, of culture, of going to the cinema on the spur of the moment, without having to plan things hours before, or to just sit by the window and see some kind of human life pass by, not just cows munching on grass or dogs running around chasing their tails. I do not want to be beholden to this house with its quirky little problems, its garden which needs our full time attention, especially now at the height of summer, the seemingly constant need for upkeep, whether it's renewing the gutters, or trimming the hedges. Not being able to leave the house for one weekend in the fear that all the painstakingly cared for plants will die if they're not watered. And yet, there are so many things I will miss. The crop of various lettuce leaves, straight from the ground to our plates; the fresh dill which this year seeded itself and has been the best ever; home-grown new potatoes and onions; fresh herbs pretty much all year around. And then later on the year the apples, pears, Victoria plums, greengages and crab apples (which make the most delicious jelly) from the orchard. Only having to step outside the house to find the most fantastic undisturbed walk over the fields; being able to play music as loud as you like, not ever having to consider the neighbours (what neighbours?). I will miss the space, the quiet, the privacy; the stars on a clear night; the moon as it was last night illuminating the garden as if someone had left the lights on inside. 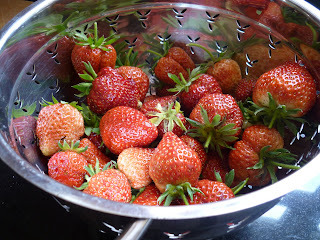 So when this morning I picked the first crop of strawberries I tried not to think, 'This is the last time I'll be doing this'. Or when last night I walked down to the bottom of the moonlit garden and picked large bunch of tarragon for a BBQ chicken marinade, I tried not to think, 'I'll really miss this'. 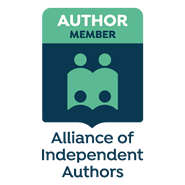 I book theatre tickets for the autumn in London; I arrange a book club; I organise to give up my car; I study maps and bus routes to see how I'm going to get myself around in the city; I plan which galleries and museums I'm going to become a friend of. I remind myself that this - living in London - has been my dream ever since I moved to England, and that the life here in the country was never one that I chose or had planned to have. Sometimes, though, what you most desire and wish for can be the most frightening thing ever. I leave you with some images from the garden as it was a few moments ago. Orange blossom with a scent like wild strawberries. The pond where lilies fight for survival with the weeds. One of my favourite roses which I can see from the kitchen window while washing up. The cabbages - largely ignored but yet doing well! The lavender hedge we planted along the path to the sauna cottage is just about to come into full bloom. Strawberries under netting - the birds love them too. My pride & joy - the purple honeysuckle. Another rose, this time by the (unused) lawn tennis court. Again much ignored but still flowering. Abandoned roller - we used this a lot during the first summer in the house when we actually played some tennis. Bridge over the pond; I can still see small son and daughter hanging from the rails while I tried to stop them falling in. Gorgeous garden, I can see why you'll miss it but London is fantastic! I moved down here from up north twenty years ago (and, at the time, thought I would go back) but I'm still here and I love it. It's your dream, you have to do it! PS you put me to shame, I haven't planted a thing due to all the building work that now is at a halt!! Plus my favourite victoria plum tree died:( What a winter !! Oh Helena, I feel for you on this one. I had the same thoughts yesterday. I went in to see an exhibit in London (I live in Surrey) and so wanted to stay and have lunch with a lovely group of women I had just met but the train schedule beckoned and I had school pick up and an hour to get there between tube, train and car. I sat at a cafe and took in the local atmosphere and thought how nice it would be to live in the city....someday. I think once you are in the swing of things you are going to love it, especially in autumn. I for one will be very jealous and will be reading with sincere interest to see what you think. It is my goal as well but the kids are still young and I have a few more years to go. Surrey will be my home for a while yet. PS...just had some of those English strawberries and YUM!!! This time of the year is the worst time to leave - best time here, Ruth. And believe me, we have planted as little as possible this year, just enough to keep the weeds off the veg patch! Jeanne, don't worry, I'll keep you all posted on how it goes in London (if you like it or not...). We have many hurdles to overcome yet, some of which I can't talk about here, so keep your fingers crossed it'll all actually happen. Oh, they have much, much better gardens in London ;), ones you'll never need to weed or water. And to live in a city with so many museums, galleries and wonderful places to eat!!!! Chic Mama, the sooner you move up too the sooner we'll meet up! Take care. Tristram, window boxes it is and perhaps tea at the vicarage? Wait, I don't drink tea. Cheryl, that's a good point - someone else doing the gardening! Ah, I didn't realise you had decided on London for the big move, you will love it though. We are only fifty miles away, one hour on a train and I like feeling fairly close, I would hate to live too far away from London. I don't drive so couldn't live like you do, I couldn't walk miles for a packet of fags! This is a lovely but melancholy post. Won’t your new house have any garden at all? Although I’m not one to talk, as I cried my eyes out last January when I moved and it was only a couple of miles down the road. I have to say that your garden looks so nice, I not surprised that you love it so. Your garden looks lovely,I can see it will be a wrench to leave,but remember its the people you are with which make a home, not the place.I've always found moving gives me a new lease of life I'm sure it will for you too! I am working on a very similar move myself. My land isn't as large as yours but I am going to rent it out and move to a place where I can walk to get groceries, go to galleries, attend plays and concerts and be on a much smaller piece of land. I do enjoy the land, but with the threat of petrol becoming insanely expensive I think it makes more sense for me to be closer to services. And just because you're in the city doesn't mean you can't still do some gardening, it just has to be a bit more intense and organized. I've noticed lots of stories in the real estate section of the New York Times about couples who downsize and move to the city after their kids grow up. It seems they don't miss the responsibility of caring for a house and garden, and enjoy the cultural stimulation of city life. That said, as an American who spent my formative years in Britain and Japan, some of my greatest nostalgia is for flowers, particularly wisteria and hydrangea, as explained recently on my blog, Seen the Elephant, which btw links to yours. I'm not a gardener so it it came as something of a shock! Still, you have the consolation that London is a very green and flowery city compared to most! All those wonderful parks and flower boxes. And what about that view form your study window? To die for! Pretty history. Can make myself want to be better. Thanks for sharing. You happen to be fantastic.